The way a person dresses influences other people's perception of his or her trustworthiness, accomplishment, and intellect. Not only does the attire reflect a person’s personality, but also determines the path the person’s carrier will go in the future. However, dressing for a job interview is even more important, because just as the perfect outfit can help one get their dream job, a wrong combination of clothes can leave them empty-handed. The primary piece of men’s work attire is definitely a business suit. It gives out the sense of seriousness, responsibility, and trustworthiness. The picture of an ultimate business outfit would definitely include a navy blue, grey, black or brown suit, combined with an appropriate dress shirt, a tie, a pair of shoes, and a matching belt. Everyone would want to cooperate with a person who knows how to dress in a workplace. Furthermore, matching a grey windowpane plaid suit with a plaid-check dress shirt and a textured solid navy tie would make an employee think that man is a true businessman. It is important to bear in mind that when matching plaid, the scale of the check should be smaller than the scale of the plaid on a suit. Custom dress shirt will look much better on a man, because it would be made according to his measurements. When one buys a shirt at the store, more often than not various alterations have to be done, so a custom dress shirt will save everyone’s time and ensure one’s piece of mind. White dress shirt is the timeless classic and it is always recommendable to wear it in business occasions. However, light blue and pale pink will be the excellent dress shirt colors to wear for an interview as well. Finally, a tie should always be an accessory that makes a statement, and adds that final touch to an entire outfit. 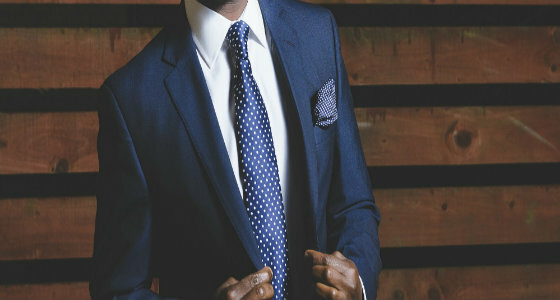 Considering, business suits are inevitable part of business attire they should always fit perfectly. 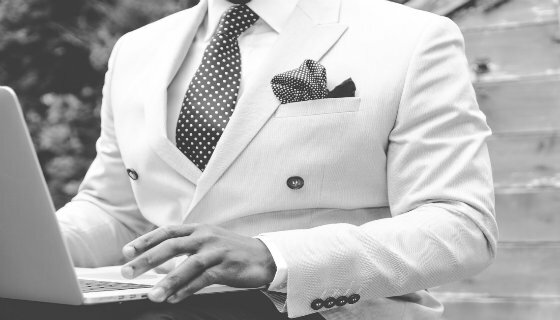 Therefore, having tailored suits to wear at work should be everyone’s priority. 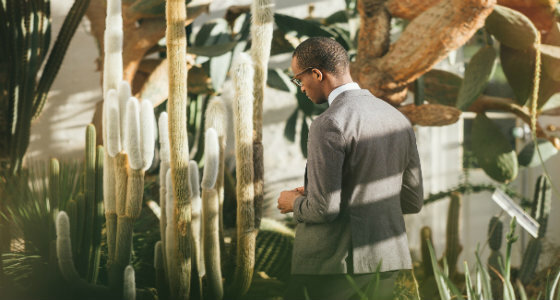 Suits can be combined in many different ways, so if a dress shirt is too formal for someone, he can choose to wear a t-shirt, or a sweater instead. This season, bright and light colors are going to be dominant, so light grey is definitely the perfect choice for a suit. Furthermore, a suit jacket can be incorporated in an outfit that features a turtleneck and a pair of jeans. It will look serious, but trendy. Additionally, a beige V-neck t-shirt or a sweater is another option, instead of a dress shirt, and it will look gorgeous under a beige suit. With brown shoes, and a brown belt this would be the perfect business outfit. When it comes to women, they wear suits more and more every day, and they could not look better. Furthermore, black cigarette trousers and a white shirt are the ultimate classic pieces of clothes that always look professional but trendy. This season bright colors will rule the streets, and we could not be happier about it. Fuchsia, pastel pink, and pastel blue are the number one colors, and they would look great matched together. A grey pair of trousers, and a fuchsia blouse, alongside black pumps will be a great interview outfit. A fashionable necklace would be a great touch to an entire combination. A black turtleneck, alongside pastel pink skirt or trousers and a pair of elegant heels would make a great combination. A matching bag, and a couple of bracelets on one wrist is all it takes for the outfit to be perfect. Different professions call for certain business attire, but all of them imply serious clothes to some degree. These suggestions will definitely help a person dress for success.